Note: All clearance clothing is brand new and unworn product. However, it may not come with its original branded packaging. 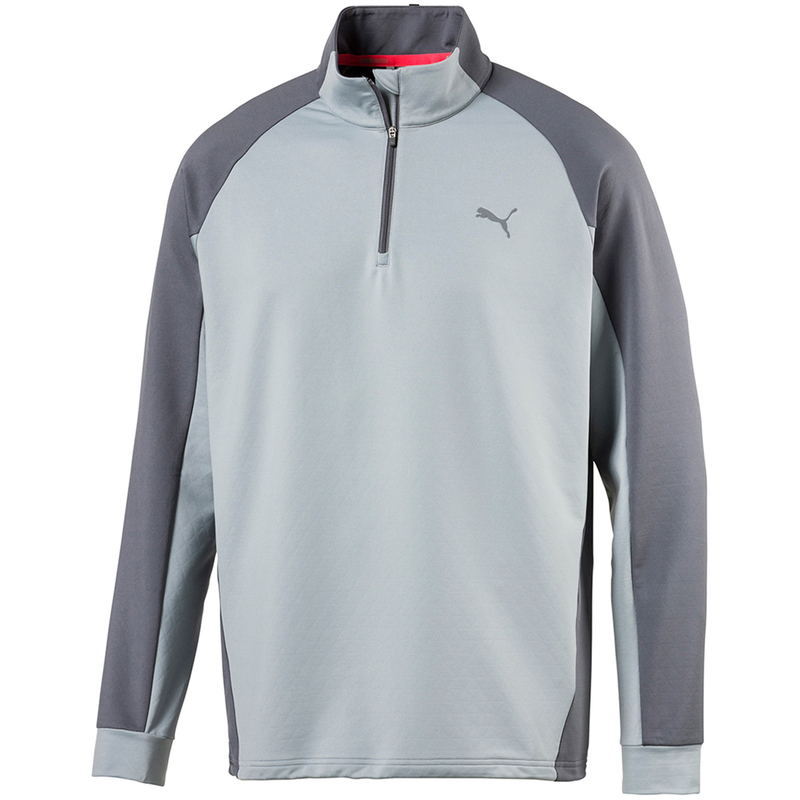 Play golf in warmth and comfort, with this high performing windtop from PUMA Golf. 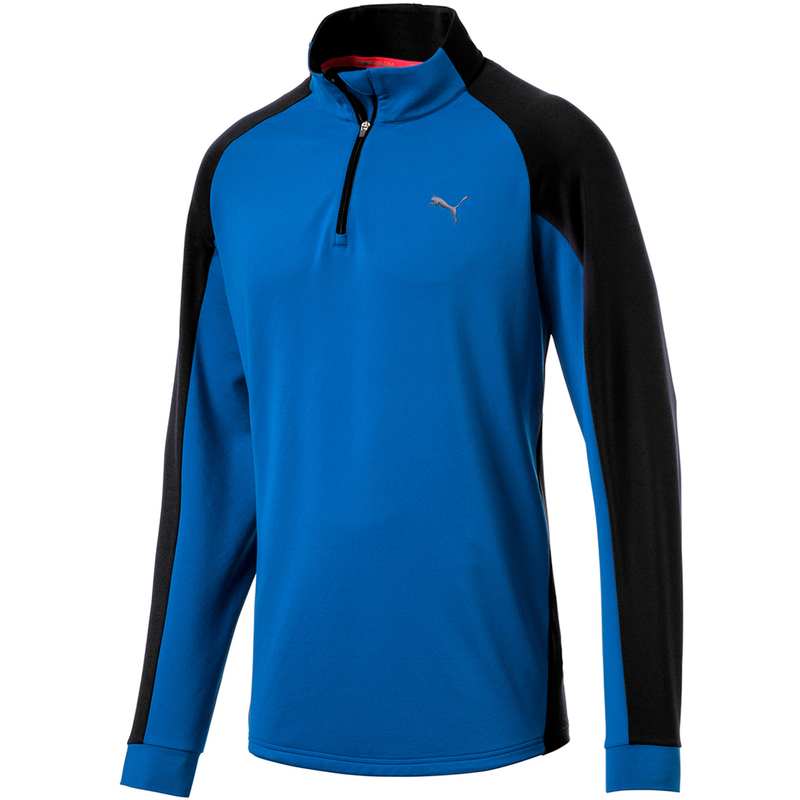 This performance layer adapts to the cold, with a warmCELL fabrication which helps you to retain body heat, with a PWRWARM internal ceramic print to maintain your optimum body temperature. 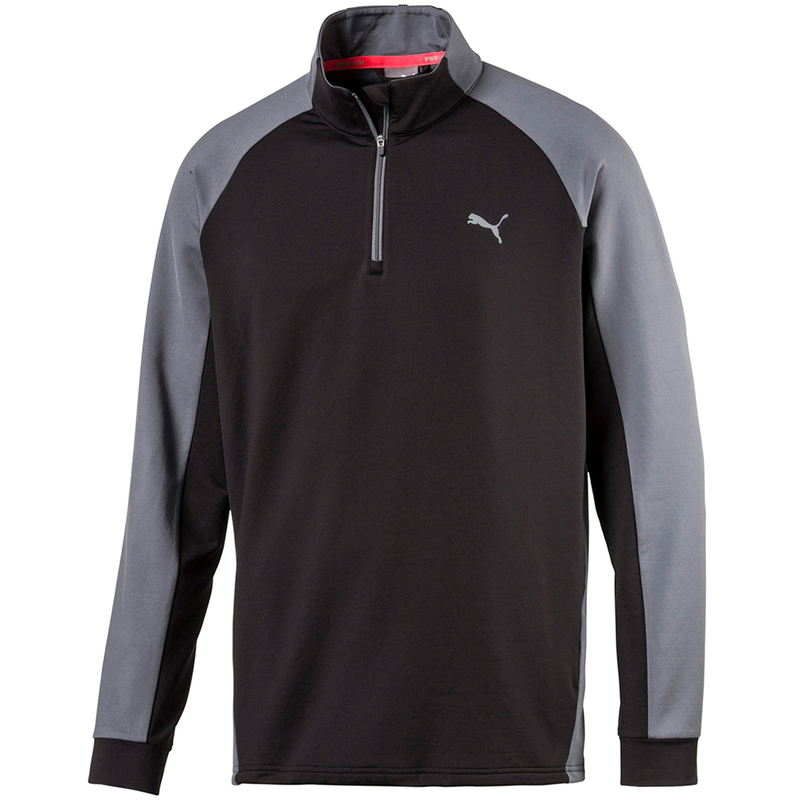 The garment features a colourblock design with 1/4 zip opening, and has a bungee cord at the hem for a more personalised fitting.